I created a mod for Minecraft! 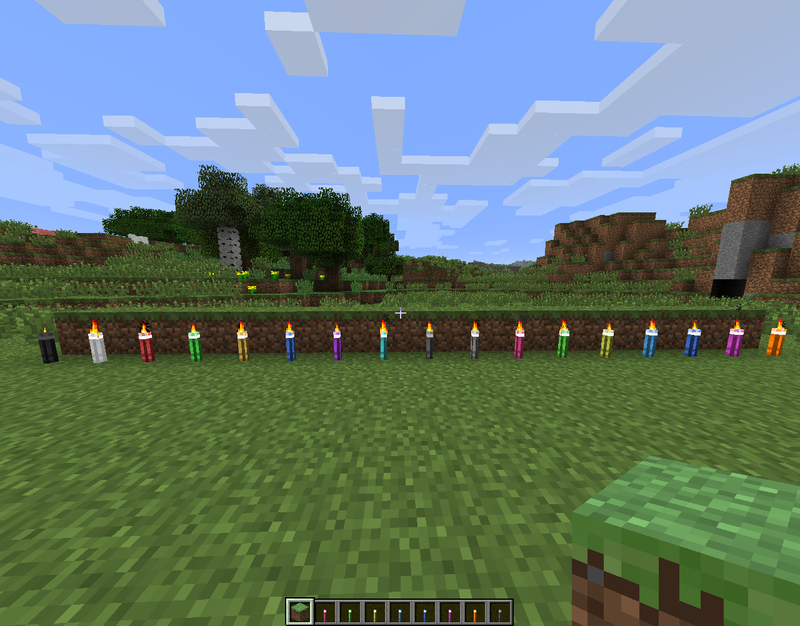 As the name might imply, the purpose of this mod is to create colored torches. 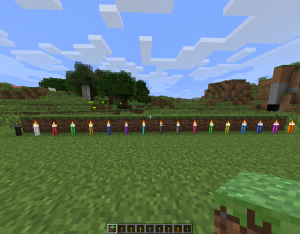 It adds a new torch for color of dye in Minecraft for a total of 16 new torches. The mod also includes new crafting recipes for each torch. I'll have a full write up soon, until then read more here! I just recently began using BOINC since I purchased a new desktop computer. My friend Jogie and I have started a team, Curiosity, and we're going to try and setup a few computer farms for SETI@home. We're going to try and reach into the top 500 for Average Credit. Just got my new tablet in today from Newegg! A Maylong M250, it's pretty cool. It's a little herp-derp sometimes, has a resistive touchscreen, but for only $100, it isn't too bad. Plan on flashing the ROM soon, wish me luck! So, about 2 or so months ago a friend of mine brought me an old Dell E151FPp monitor. He works at recycling on campus and was told they couldn't recycle it so he took it and gave it to me. Well, it has sat around for a while collecting dust. So lurking through hackaday I found a link to this blog with tips on repairing lcd monitors, so I decided to give it a shot. I'll be trying to detail the teardown and repair in a new project page. Haven't updated this at all, so here goes. So a few months back, before heading off to college, I tested for and received my amateur radio license. Sent out an order a couple days ago for a Baofeng UV3R hand-held radio. It seems to be a pretty decent knockoff of the Yaesu VX-3R with the same body style, layout, and features. But the Baofeng is only around $30 compared to $120 for the Yaesu, thanks China! Started work on another project, will get a page and some pictures up for it here soon. Over Christmas I picked a camcorder, a Vivtar 945HD. $80, 720p, records to sd cards. Not bad for K-Mart.